Imagine being able to go to school and not having to pay a dime for tuition, and I’m not even talking about getting a full scholarship to the school. I mean that it isn’t even expected of you to cover any of the costs of your schooling for every single student attending that university. One man named Peter Cooper thought that some students should be given this chance, and he created Cooper Union which was a school that did just that. This school was established in 1859 and offered all students a chance at a free college education until recently it was decided in 2014 that the school would stop this policy and start charging around $20,000 for tuition. So what exactly went wrong?After seeing an article about Cooper Union and becoming fascinated with the idea of a tuition free college, it was extremely disappointing that the article I was reading was about the “fall” of Cooper Union and the many reasons behind it. Of course it seems like there is not one clear answer about the reasons for this change, but more like the compounding of many issues that seemed to force this change. After paying so much to go to school, the concept of having a college that is completely free to attend is unfathomable to me. Especially the fact they made it work so long! It’s kind of sad that the only time I’m hearing about this now is when the school is finally going to start charging for tuition now. It seems that this story goes back to 2011, when the school elected a new President. Everything about the school including the motto saying “education ought to be as free as air and water” stressed the fact the school was free and they were proud of their long history of that way. Suddenly all of these disappeared and the school started focusing on being “global” and “growth”. Sound familiar? Sounds like they were straying from the original message and trying to turn the school into a business, which would have probably had the founder cringing at the thought! Students held various protests from 2011-2013 ranging from sitting in offices, protesting outside and to the board members and submitting various proposals to prevent tuition from being charged. But the school was already in financial trouble with the recession causing their investments to lose a large amount of value, as well as advancing construction projects and taking on debt to do so. 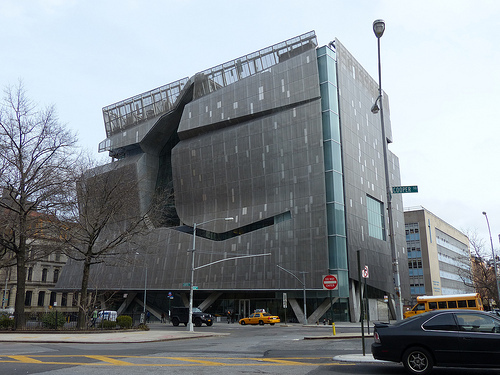 It seems that Cooper Union got away from its core values, and lost the original vision that the founder had set for it. Due to their excessive spending and focus on “growth” they were left with two decisions: to either make huge cuts to remain free or to start to charge continue along their growth pattern. The university used to be able to choose the cream of the crop when it came to students having an acceptance rate of only 8% and being one of the most desirable small private schools due to the school’s free tuition. Now Cooper Union becomes yet another school in one of the most expensive cities in the world, charging $20,000 a year for tuition. Within two years, 13 of the 22 members have resigned or been replaced leading to huge turnover. The former president was paid $1,307,483 in 2011, a year after he had left the university. It really is a shame that Cooper Union has now just become another school, no longer offering the unique proposition that probably drew so many students to the school in the first place! Unfortunately this pattern of rising tuition and running universities strictly as a business is prevalent throughout higher education.